The Disciplinary Committee of the Sri Lanka Freedom Party (SLFP) will initiate action against 30 MPs for violating party discipline. The SLFP Central Committee, when it met on Friday, decided to delegate full authority to the Disciplinary Committee of the party to take action against MPs breaching party discipline, irrespective of their positions in the party. 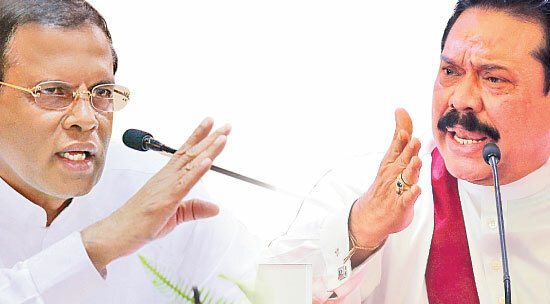 The government will not hesitate to take stern action against any media organisations that attack individuals and continue with unethical practices, Prime Minister Ranil Wickremesinghe warned in response to recent adverse electronic media comments on an opera singer. “Media institutions are not properties of their owners. They belong to the citizens of the country, of which nearly 52 percent are women. Deputy Speaker Thilanga Sumathipala said it was a shame that a group of members elected to Parliament from the UPFA is seeking Prime Minister Ranil Wickremesinghe’s intervention, to resolve an internal matter relating to their identity within the UPFA. The Prime Minister told Parliament on Wednesday (February 10) he had to talk to President Maithripala Sirisena. The Central Environment Authority(CEA) after a lapse of over a year has finally granted approval under stringent conditions to implement the Trincomalee (Sampur) Thermal Power Plant project. Prof. Lal Dharmasiri, CEA Chairman told the Sunday Observer that approval for the Environment Impact Assessment report, submitted in January was granted conditional approval. JVP Parliamentarian Vijitha Herath raised an issue of concern over the dual privileges enjoyed by the newly appointed MP and leader of Democratic Party, Field Marshal Sarath Fonseka. Fonseka already enjoys a high level of privileges equivalent to ministerial perks afforded for his rank as Field Marshal.